A young individual, under the age of 35, who had demonstrated exceptional entrepreneurial skills in developing their own business, or as part of an existing business. A business that demonstrates excellence in quality of service, community involvement, leadership, image, and innovation. A unique business, opened within the current year that enhances the local business base. This business is an outstanding corporate citizen and place of business. Honors the business that has demonstrated excellence in all facets of their customer service. A business that is seen as a strong supporter of Lumby’s organizations and events. This business is an enthusiastic promoter of community projects and has donated products or services to an event. A business that markets and advertises effectively and is proactive to changing market trends, providing a variety of products that give good value for the dollar. Established good relationships with customers and has good product knowledge to help the customer buy rather than focusing on sales. Their technical innovation has created opportunity/growth in the region through employment, increased productivity and/or successful commercialization. 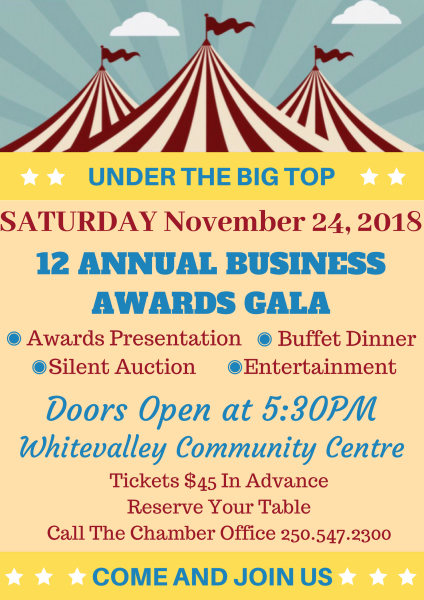 A business, organization or person(s) that has hosted or promoted an event to attract or encourage visitors to Lumby and District. A business that has strengthened the economic base of Lumby through manufacturing a quality product. Their product must be locally manufactured/produced. A home operated business that consistently shows excellence and quality in service and merchandising. They conduct their business as a Business, not a hobby and the phone is answered with a business name. An established business that has renewed its presentation and décor within the last year to attract new customers, and be more appealing. A business that has taken large initiative to become more environmentally friendly.